A friend of mine at Macari Vineyards just put me on to East Coast Wineries a blog that is new to me, but looks like it's been around at least a short while. Some great content here, but Carlo makes it impossible to contact him. He doesn't offer an email link and doesn't seem to allow comments on the blog. Maybe we can convince him to change all that and join the rest of us! I love just about anything stuffed inside pasta, regardless of filling. I love ravioli. I love pot stickers. And yes, I love pieogies. As Kate mentions in her post (I seem to be a step behind her with the 'burgh's best bites) Pittsburgh is filled with Polish, Slavic or Ukrainian communities, and the churches within those communities are the best places to find fresh pierogie. I've seen them served deep fried with tomato sauce (similar to 'toasted ravioli') and I have a fraternity brother who would boil or steam them and then eat (pretty bland that way if you ask me). I prefer to poil and then sautee them with butter and onions until they are just slightly golden. A little hot sauce is good too. 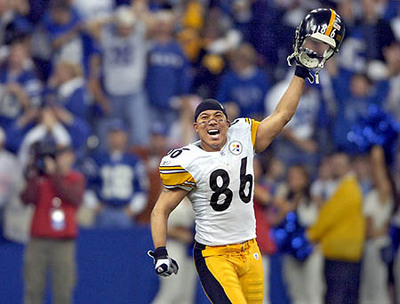 I'm going to compile the Ultimate Pittsburgh Steelers Tailgate Menu and post it tonight...so stay tuned for more 'burgh bites. 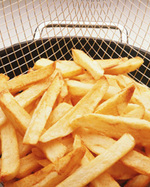 French fries. No, they weren't invented in Pittsburgh (or France for that matter) but Pittsburgh has taken these crispy slices of gold to an all new level -- as a condiment. In the 'burgh, fries are as likely to be on a sandwich as next to it, especially if you're at Primanti Brothers, which is to Pittsburgh what Geno's and Pat's are to Philadelphia. The sandwiches are served on thick slizes of Italian white bread, layered with vinegary coleslaw, tomato, French fries and -- if your a true 'burgher -- a fried egg. Every table has a bottle of Trappey's Hot Sauce for splashing on this king of all sandwiches. You can get any of a number of deli meats as your base...but my all-time favorite is the "pastrami with egg." Adding fries to a sandwich may not seem that big a stretch. As kids, many of us added potato chips to sandwiches (or Doritos even). But one Pittsburgh-centric use of fries truly shocked Nena the first time we ate out in Pittsburgh a few years ago -- the Pittsburgh Salad. The Pittsburgh Salad isn't all that different from a typical garden salad you can get anywhere. Iceberg lettuce is usually the base, with other assorted vegetables added to the mix. But then you add shredded provolone cheese (still not weird, but stay with me) and -- you guessed it -- French fries. So there you have it...a delicious sandwich (which Kate adapted in a post this week) and a much-less-than-healthy salad. It's a 'burgh thing. Despite the warmer-than-usual temperatures we’ve been enjoying lately, this time of year calls out for comfort foods -- especially roasts and stews. They fill our kitchens with warming, alluring aromas and pair wonderfully with hearty local red wines. Unfortunately, it seems like most of the East End’s recent releases are white wines -- either chardonnays with a couple years of bottle age that are finally ready for release, or fresh, young aromatic whites like riesling or steel-fermented Chardonnay. Thankfully Laurel Lake Vineyards and winemaker, Claudio Zamorano, have bucked that trend, recently releasing two reds and an ice wine. The Laurel Lake Vineyards 2001 Reserve Cabernet Sauvignon ($23) represents the lighter, more refined style of Cabernet. Its color falls somewhere between rich ruby and vigorous violet. The nose is a bit underwhelming at first, but opens with some air time, offering light berry and currant aromas and faint hints of sweet vanilla. This wine is medium bodied and a little juicy, with currant and plum flavors dominating a rather one-dimensional flavor profile. The tannins are soft, but a short finish makes this a less-than-exciting wine that starts off with delicious front and mid-palates. 2001 was a tremendous growing year on Long Island, but Cabernet Sauvignon is hard to grow and make well here in most cases due to the long hang time the grapes need on the vine. 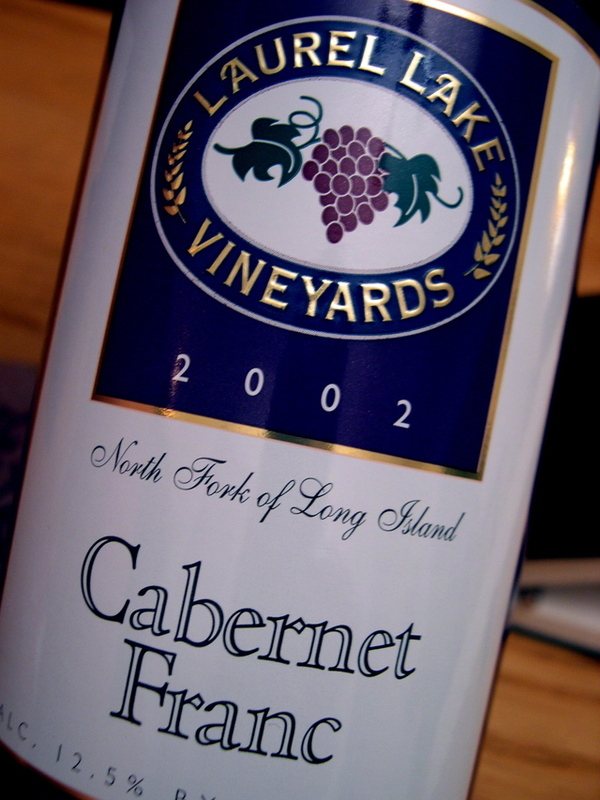 Much more intense and full flavored, the Laurel Lake Vineyards 2002 Cabernet Franc ($20) is enormously aromatic with blackberry, spice, fresh mint leaf and licorice on the nose. Also medium-bodied, slightly gripping, chalky tannins provide nice structure to an otherwise fruity wine accented by mint, licorice and smoky notes. This is the sort of flavorful, robust wine you should drink this time of year. Drink it with any hearty stew, lamb or venison. It is a great example of how good Long Island Cab Franc can be. Laurel Lake has also recently released its 2002 Ice Wine ($30), made 100 percent of frozen-on-the-vine Chardonnay grapes. While many local ice wines offer intense, lush fruit flavors balanced by a zing of acidity, the Laurel Lake offering is more perfumey with floral and candied citrus on the nose. On the palate, the flavors are restrained and lighter than expected. Citrus and apricot are the primary flavors with pears and some Gewurztraminer-like lychee hints as well. Not overly sweet or cloying, this wine would be good with fresh fruit or cheese. Just make sure you don’t over chill it or its flavors will be too muted and the wine will disappoint. For more information or to order wines, visit www.llwines.com or call 298-1420. And make sure you visit Laurel Lake Vineyards and other local wineries during the month-long Long Island Wine Country Winter Festival in February. Holly Howell, wine columnist for the Democrat and Chronicle, has been named director of education at the New York Wine & Culinary Center, a$7.5 million center, backed by corporate, university and government sponsors, that is expected to open this summer in Canandaigua. Holly comes from a family of food lovers and her parents run their own cooking school. She also teaches food and wine classes at Wegmans, RIT and Casa Larga Vineyards. Before I continue with this post, let me just say that I am well aware that this isn't even close to the authenic use of the term "BBQ." Though it is slow cooked (or at least it can be) and includes a yummy pork product, there's no smoke and not even an open flame necessary. As a kid, one of my favorite sandwiches was mom's ham barbeques. They aren't the most sophisticated or complicated sandwiches in the world but they are a 'burgh tradition and -- frankly -- they are home for me. You'll noticed the main ingredient is "chipped chopped ham" which I don't think I can order here on Long Island. Well, I could order it, but I would be shocked and amazed if the deli guy knew what I wanted. Basically, it's shaved ham. This is Mama LENNDEVOURS' recipe...but there are many others out there, including this one from fellow Pittsburgh native Kate of Accidental Hedonist and one from the Pittsburgh Post-Gazette. In a frying pan melt 1/2 stick margarine, pull apart the chipped ham and add to pan. Stir for 1-2 minute until ham is coated and begins to change color. Add the tomato sauce, ketsup and mustard. Turn down heat to simmer, cover and let cook for 10-15 minutes. Scoop out onto rolls and sprinkle with salt ane pepper. Even though Nena and I have been living on this overgrown sand bar for over six years (has it been that long already?) there are a ton of restaurants we haven't gotten to yet. You may be asking "Why not, Lenn?" Well, we usually stay fairly local to wherever we're living at the time and sometimes fall into ruts. Our main group of friends also seems to frequent five restaurants...all within a few miles of the town we live in. Panama Hatties in Huntington Station. If anyone has any other recommendations...I'm alllll ears. 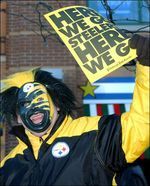 Even though the game is in sure-to-be-cold Detroit, there is no doubt in my mind that the Steelers faithful will be turning out in full force, both for the game itself and long before. Tailgating is a bit of a religion in the Steel City. I've gone to 4 p.m. games where we arrived at the stadium at 8 a.m. Tailgating is important after all. But Steelers fans, what would you eat as part of the Ultimate Steelers Tailgate? Polish sausage? Pierogies? Chipped Ham BBQs? Primanti Brothers sandwiches? And what do you drink? Lots of ice-cold Iron? IC Light? Rolling Rock? Penn Pilsner? Let me know by Sunday, January 29 by commenting here on LENNDEVOURS or sending me an email. I'll read through all of them, add my own ideal grub and compile the ultimate menu for this year's Super Bowl. UPDATE: Pittsburgh native turned Seattle resident, Kate of Accidental Hedonist already has a recipe posted for chipped ham BBQs...and it's different from Mama LENNDEVOURS'...keep em coming Kate. 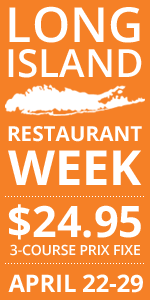 Every week, I write a "Vintage of the Week" for the Long Island Press lifestyle section. For whatever reason, I hadn't been republishing them here, but thought I'd start doing so when the wine isn't written about in another post. The Finger Lakes are best known for their world-class rieslings, but with a cool grape growing climate, the region is well suited for other classic varieties, chardonnay included. 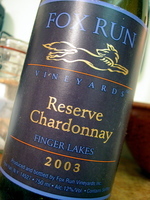 This bottling from Fox Run Vineyards — a nice value at $13 — is a nice example of cool climate chardonnay. Rather than being heavy and flabby like many California bottlings, it’s medium-bodied, redolent of apples and pears with just subtle hints of oak character that come through as butterscotch and vanilla cream. A bit more acidity would push this wine to great heights, but it’s still a nice pour. As you may have noticed yesterday, I presented a challenge to Seattle-area food bloggers as my hometown Pittsburgh Steelers take on teal-clad Seattle Seahawks in this years Super Bowl. Well, the mind behind the Culinary Fool has accepted the challenge. When the Steelers win, she has to send me one of her last bottles of Matthew Cellars 2001 Columbia Valley Red. If by some miracle the Seahawks win (and then go ice skating with the devil), I'll have to part with my last bottle of Martha Clara Vineyards 6025. Think of it as a meritage-for-meritage wager. And yes, I'm well aware that Martha Clara isn't a Pittsburgh or even Pennsylvania winery...I'd never make B drink any wine produced in my home state. I'd not with that upon even my worst enemy. I'm sure going to enjoy drinking that WA wine this spring. Thanks, B. Every year, the mayors of the two Super Bowl participant cities make a wager on the game...usually special items that are only available or that are particularly good in each city. Well, it's time to bring that spirit to Super Bowl XL. 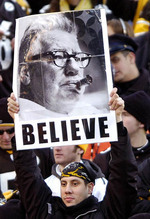 I'm willing to play the part of Pittsburgh representative...any Seattle bloggers interested in a little friendly wager? Of course there are a ton of Seattle food bloggers...some of you are among my favorites. But, Kate is a native Pittsburgher...so I know she isn't going to bet against the black and gold. For the second straight year, Alder Yarrow, the founder of Vinography, has won the award for the Best Blog on Wine, Beer or Spirits. Congratulations to Alder, yet again! It was an honor just to be nominated...as it appears that's all any of us can shoot for until Alder hangs up his keyboard. And let's not forget Kate (a fellow Steelers fan) of the WellFedNetwork and Accidental Hedonist for putting together the awards once again. Much to my joy, I spent yesterday afternoon with good food (Nena makes great pizza), good drink (IC Light of course with some Belgian-style ale provided by my buddy Ginz) and great friends (even if most of them are Jets fans)...all while watching the Steelers put a hurting on the Broncos. Jake "the Fake" Plummer regressed back to his Arizona Cardinals days just long enough for us to win and make it to the Super Bowl. I couldn't be happier. In fact, I'm sure Nena is beyond tired of hearing me say "We're in the Super Bowl. We're in the Super Bowl." In honor of the big win, you'll be seeing more Steelers-themed posts over the next two weeks, but they will be food/wine oriented, I swear. Until last weekend it wasn’t obvious, but winter is upon us. And while most of the farm stands are boarded up for the season, just about all of Long Island's East End wineries, bed and breakfasts, and restaurants remain open. Believe it or not, this is one of the best times to visit Long Island wine country. The summer crowds are a memory, the rush of harvest season is over and the 2005 vintage is resting comfortably in barrels and bottles before release. Tasting room staff can spend more time with you, it’s easier to get a reservation at the best restaurants, and accommodations are much more reasonably priced. 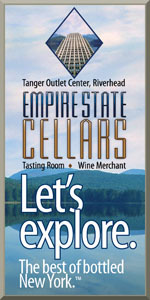 To help get people out to the wineries in the month of February, the Long Island Wine Council, Long Island Convention & Visitors Bureau and Sports Commission and the East End Arts Council are sponsoring the Long Island Wine Country Winter Festival, which will feature special discounts at the East End’s best restaurants, hotels, B&B’s and, of course, wineries. Every weekend throughout the month offers a different theme as well, with participating businesses catering their events and specials to fit the theme. On February 4 and 5, you can get away with the girls (while the guys are watching football) for the festival’s Women’s Weekend/Girl’s Getaway. Enjoy discounts at spas, see a film screening, check out an art exhibit and sample the best food and wine on the twin forks. The next two weekends are devoted to Valentine’s Day and Romance. You can have your wife or girlfriend’s name carved into a vineyard fence post, sample fine chocolates with local dessert wines or spend the entire weekend at one of the area’s beautiful B&B’s at a discounted rate. Finally, the last week in February (20-26) is Family Week. So enjoy an afternoon, a day, or a weekend with your whole family. Activities include cooking classes, a kid’s carnival and a mid-winter picnic. To take part, you need only buy a 30-dollar Long Island Winter Festival Passport (good for a couple or family with children under 18), which is a bargain given all of the specials and discounts it entitles you to. And, with the warmer-than-normal winter weather we’ve had thus far, you should get out and enjoy Long Island’s bounty. For further details or ticket information, please call 631-477-8493. This post has absolutely nothing to do with food or wine -- at least not directly -- but I've been far too silent as my beloved Steelers march on in the NFL playoffs. Heading into the playoffs, I was luke-warmly confident, despite my often blind faith in the black and gold. We had a great year (yes, I always speak as if I'm on the team) but there were some missteps along the way...and there are some damn good teams in the AFC. But, after watching them demoralize the Cincy Bungles (sorry Jens, and that wasn't a dirty hit) and then go into Indy and win despite the officiating crew's best efforts, I have no doubt that we can win it all this year. This Sunday's game against the Broncos should be a great, old fashioned, beat-em-up kind of game. Both teams love to run. Both teams have good leadership at QB. And both teams have great speed on D.
I probably won't surprise any of you to learn that we're hosting a little party for the game...ten people or so...even if only four of us are Steelers fans. The others are very jealous Jets fans...who openly admit that they sucked this year. And one Eagles fan who had to endure quite a year. Lord knows I've watched enough Yankees playoff games with this group while my Pittsburgh Pirates occupy the basement...it's their turn. Anyway, there won't be any wine reviews coming out of this shindig. Pittsburgh-made Iron City Beer and I.C. Light will be the beverages of choice most likely. But, there is talk of an assortment of homemade pizzas and maybe some 'burgh food like kielbasa and pierogies. So, Sunday night I'll either be riding the high of all highs...or drowning my sorrows. Today is your last day to vote for all of your favorites in the 2005 Food Blog Awards, hosted by Kate over at the Accidental Hedonist. Dr. Konstantin Frank Vinifera Wine Cellars is one of the best-known wineries in New York's Finger Lakes region -- mostly because their rieslings are top notch and among the best (if not they best) produced in the U.S.
Salmon Run is Dr. Frank's second label and the bottlings top out at about $13 per bottle, making them among the best every day drinking values I've encountered. 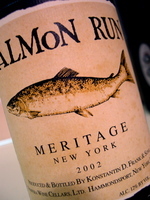 This Salmon Run 2002 Meritage ($13) is a blend of merlot, cabernet franc and cabernet sauvignon, and while I couldn't dig up any information on where the grapes came from, listing "New York" on the lable rather than the Finger Lakes probably means there's some Long Island juice in here..
Nena made some homemade pizza last night with turkey sausage, sauteed veggies and mozzarella, so I thought I'd open this bottle up and see how it was. Eyes: A medium, juicy crimson-red. Very translucent and obviously filtered. Tongue: The palate is similar to the nose, with low tannins (and acidity) and soft, medium-bodied mouth feel. I think there may be a little residual sugar because the finish is a little sweet and short, which keeps this from being what it could have been. Comments: I've never been blown away by a Finger Lakes red, and this wine continued that trend. This is simple, but not as simple as you might expect at this price. The sweetness on the finish turns me off a bit, but this is obviously meant as a gulping red and it would be good to serve at a party with non-wine geeks. It was okay with the pizza though...the clove/smoke went well with the sausage. As Tom mentions, the number of new wine blogs is "daunting." It's seemingly impossible for me to add any new blogs to my list of usual reads. But, on his suggestion I clicked on over to Walk the Wine. It's going to work it's way into my regular reading routine. Plus, JD is just across the Long Island Sound from me in CT and has links to the Connecticut Wine Trail. Perhaps we'll do some tasting together one day after a short ferry ride. So go over and see what JD has going on...and add him to your must-read list. Today, the good doctor himself, Dr. Vino, has announced Wine Blogging Wednesday #18. And, he's decided to take us in a slightly different direction. Instead of asking us to seek out a particular wine, which could have led us down the path of pink Champagne or some other Valentine's Day cliche, he's tasked us with writing about one of our favorite wine shops...a wine shop that feels the love. Of course, for those of us you that just need to drink for WBW, he's also added a bonus round: review a bottle of value wine that a member of the wine shop's staff recommended to you. So join us on February 1st...this should be a fun one. It is with great pleasure that I announce and introduce the winning logo in the Wine Blogging Wednesday logo contest, designed and submitted by Chris over at Drink Some Wine. Congratulations to Chris and thanks to all of you who voted. I'm going to work with Chris to fine tune the logo...so hopefully we'll have the "final" version soon. This afternoon, Nena and I are heading to Killington, Vermont for a long weekend with friends. Of the six people going, only two ski (I'm not one of them) but we're certain to have a great time in the winter wonderland. So, there probably won't be much activity on LENNDEVOURS until Tuesday. But, you should definitely take my New York Wine Survey while I'm gone. Just when you thought I was going to leave you alone about this damn logo...I need everyone to vote one last time. Why? Well, for one, the votes on the original five logos resulted in a tie (several people emailed me instead of leaving comments!). And, I got several emails (enough to warrant consideration) about a late-comer. So, we're going to have a run-off with the two tied logos and the third added in. Note that they have been re-numbered and you'll have to click on "Continue reading..." to see them. PLEASE vote here in comments so I don't need to save emails or any of that. Voting will close at midnight ET Monday night (1/16). Harold Watts, 73, Ternhaven Cellars’ founder, owner and winemaker, has sold his five-acre vineyard in Cutchogue to someone who is expected to build a house there and keep the acreage planted in vines. He's keeping his property and winery in Greenport, but isn't planning on making wine anymore. As I wrote last July, Harold is one of Long Island's true garagistes. For more information (but not much) check out this piece in Newsday. (I like seeing that Mr. Harrington refers to Harold as a garagiste six months after I did). Stay tuned for an interview with Harold...I'm trying to track him down.